Gym Click Media is a specialist team with over a decade of experience within both the fitness and video production industries. Directors Eugene Downing and Tian Jay have worked closely with many fitness sector professionals from RTOs, personal trainers and fitness event organisers to provide high quality video products over a vast range of projects. While professional and innovative video production services are the key service offered by Gym Click Media, the portfolio of offerings is ever-expanding. #GymTalk is a video-based series of interviews with key fitness business operators, designed to help further educate and support operators and individuals in their quest for success. Exploring topics such as sales, communications, legalities, men’s health, marketing, and lots more #GymTalk is a great free resource designed to inspire, motivate and educate existing operators, and help them achieve even more success in their business. 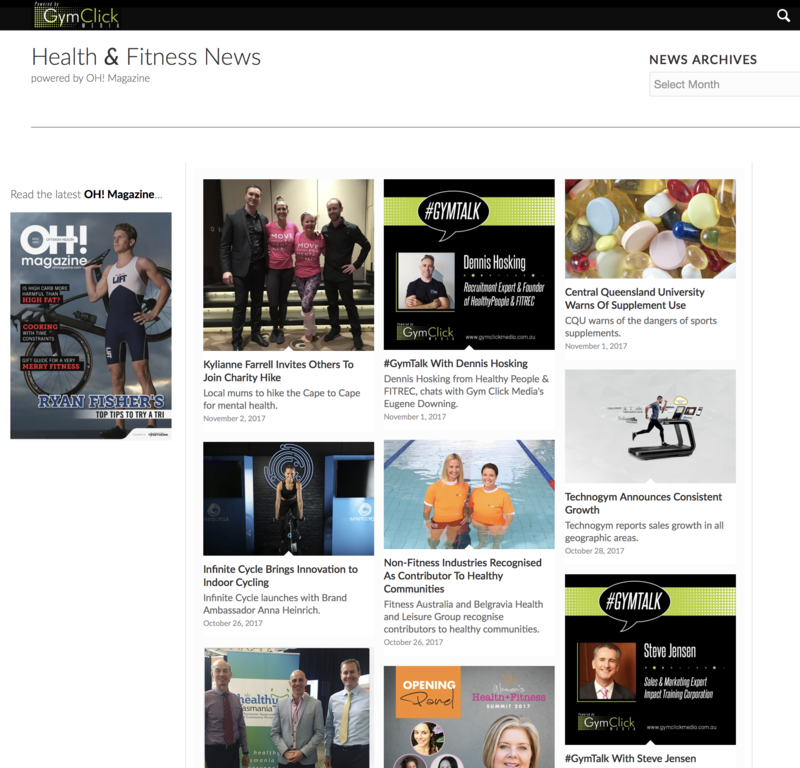 The latest addition to the Gym Click Media suite of resources is the online Gym Click Media Newsroom. Powered by (i.e. maintained and managed) by the team behind the multi-award-winning OH! 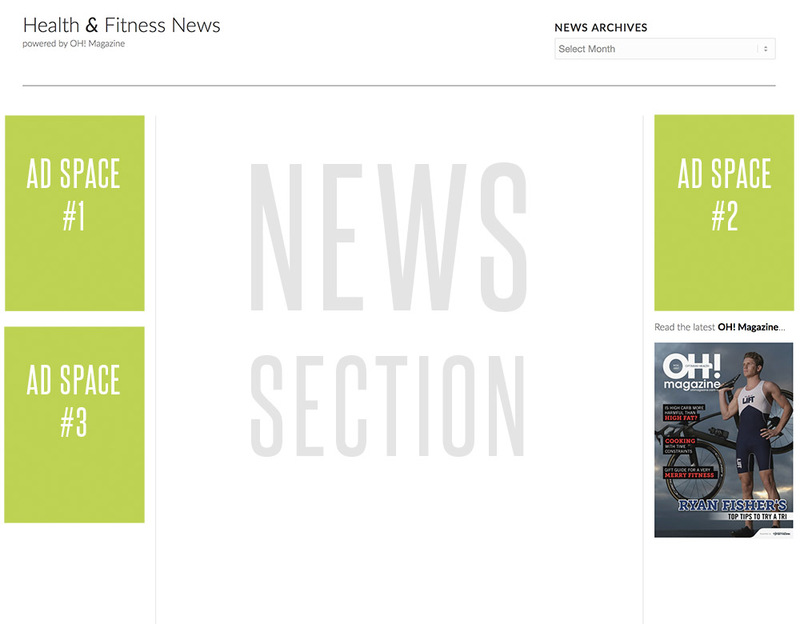 Magazine, this dynamic hub is the newest online destination for fitness folks, to source industry-related news and announcements – as they occur. Gym Click Media launched this innovative support program because social media platforms are often considered an extension of any serious athlete’s personal branding. This extension is so important that – much like an athlete’s nutritional or training plans – it too needs to be handled by highly experienced professionals, with specific expertise in this area of communications. Enter: Gym Click Media’s Athlete Sponsorship Program, which is designed to help elite athletes finesse, refine and maintain their online and social media presence. Through it’s portfolio of offerings, Gym Click Media can provide your brand with a direct conduit to health clubs and fitness businesses. The Gym Click Media Newsroom enjoys healthy traffic from a predominately health and fitness industry demographic, which is building steadily through our continual marketing through various social channels. Premium Ad Space – This ad is the first ad that displays on iPhones/Smartphones. Being mobile-responsive, advertisements will automatically conform to the viewer’s browser size, whilst maintaining aspect ratio. Advertising Period: Adverts run month-to-month commencing the 1st of each month. New ads need to be provided for approval no later than 48 hours beforehand. Design: Gym Click Media can provide cost-effective ad design services, should it be required… contact us for details.